Market penetration pricing strategy is established to penetrate the market. 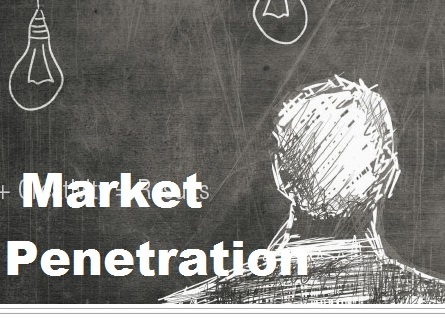 Lets get acquainted with what is penetration pricing strategy. It's the pricing strategy of creating relatively low original entrance price, often less than the eventual selling price to draw in new customer. The strategy works on the expectation that customer will turn to the new brand because of the lower price. Penetration pricing is associated with a marketing objective of increasing market share or sales size, rather than to make profit in short term. Price penetration is most appropriate where product is available for a mass market and economies of scale is available. It is important to include basic elements of marketing mix along with right pricing tactics and strategies to achieve marketing objective. There is no perfect strategy so as in case of penetration pricing strategy. In this article we will learn about advantages and disadvantages of penetration pricing strategy. It can fetch quick growth by growing customer base and revenue due to low price of products. It provide economic advantage by offering low prices that increase sales. It has broader potential as penetration pricing, you appeal to a broader income, education and occupation demographic audience. It helps in combating competitors by discourage entry of competitors. It is difficult to eventually raise prices. It can lead to pricing war with competitors. Pricing low may affect the brand image, making the product look cheap. Often attract price sensitive and disloyal customer tend to switch for better deals.